They say “Google is God” and hence Google has the power to give and also to take away. The workers of Google are surprised enough to know that John Mueller has announced that Google is giving away with the practice of adding authorship photos from most Google search results. This was hard enough for him to digest as he was the one who optimized the process of Google author photo. It was for a long time that most SEOs constantly advised the webmasters to inform their content writers about Google authorship. Off late, the authors usually were very excited and serious about verifying authorship for increased CTRs (click through rates) and increased brand visibility. Real people would b introduced into search results and this would certainly increase the brand visibility of the webpage. In what ways are author photos changing? This particular announcement actually implies that the photos of authors in most Google search results will be removed. John Mueller has also mentioned that this change will roll out throughout the world in the coming few days. Till now, if you’ve already verified your authorship through Google+, you must have seen the photo being displayed in the search results of Google. Both your Google+ circle count and your photo are included here. But from now onwards, Google has planned to display the name of the author only in the search snippet, thereby removing the photo and also the circle count. What is the reason behind this decision of John Mueller? 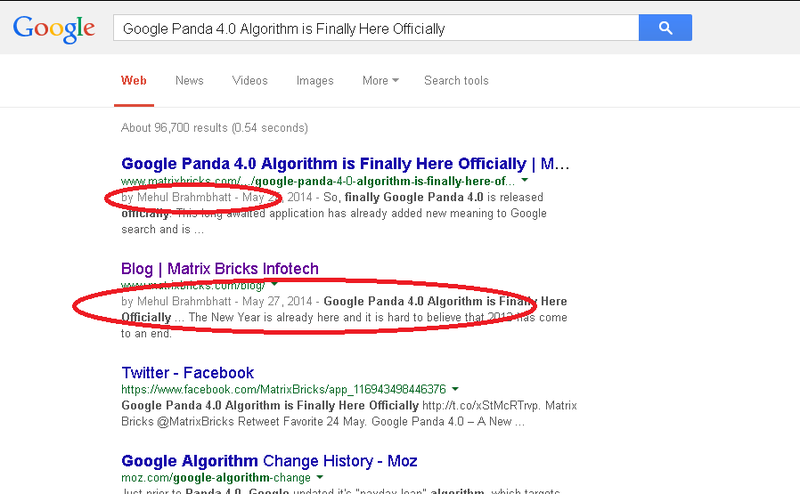 You must be wondering about the reason behind this clean up of Google authorship photos. Well, he said that they were working hard to clean the visual design off the search results and to also create an enhanced and better experience on different mobile devices. For him, this makes sense in the way Google has introduced mobile-first design as these photos take up lot of space and real estate on smaller screens. While this sounds to be interesting for John Mueller, the webmasters are scratching their heads as most of them seemed to prefer such author photos. Critics have a take on this change and they feel that what will become more visible after this change are the Google ads at the sides and top of the pages. What is it that isn’t changing? In spite of this drastic change in the field of SEO, there are some things that aren’t changing. Authorship is still there as in the new system the names of the authors will get displayed in Google search results and hence Google hasn’t done away with it. The names of the authors will still appear and will also link to their Google+ profile. Google authorship doesn’t influence the rankings for most search results. You still require verifying authorship as Google is not changing the guidelines for establishing authorship. If Google takes steps to incorporate “Author Rank” signals into the Google search algorithm, you need to establish yourself as a trusted authority. Author photos that are disappearing might be replaced by higher rankings for trustworthy authors.